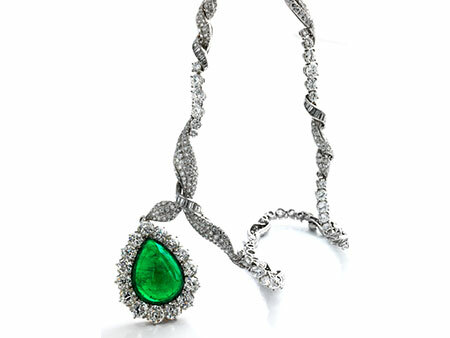 Collier signiert „VERDURA“, Anhänger signiert „B.S.&F“. Beigefügt ein Befundbericht von SSEF Nr. 77264 vom Oktober 2014. Necklace length: ca. 39 cm. Platinum and 18 ct yellow gold. Necklace signed “VERDURA”, pendant signed “B.S.&F”. Accompanied by a report from SSEF no. 77264 dated October 2014. 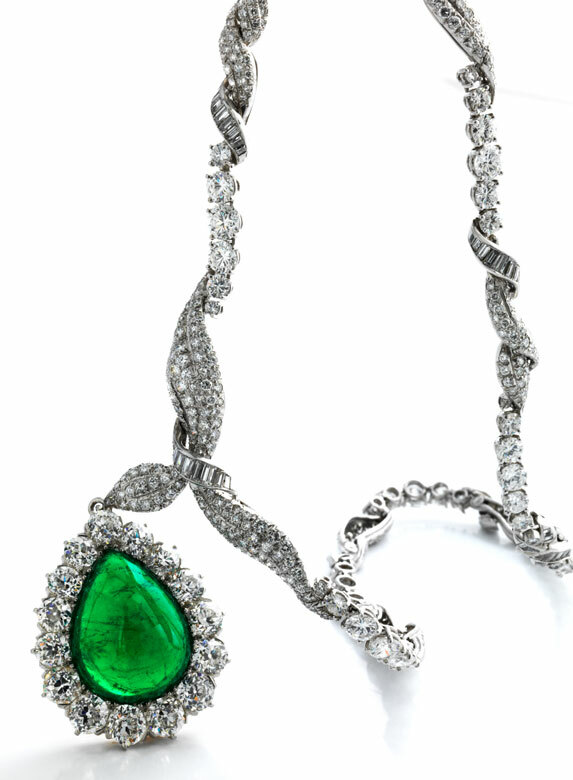 Premium, elegant necklace in rope chain look with fine brilliant-cut diamonds and baguette-cut diamonds, altogether ca. 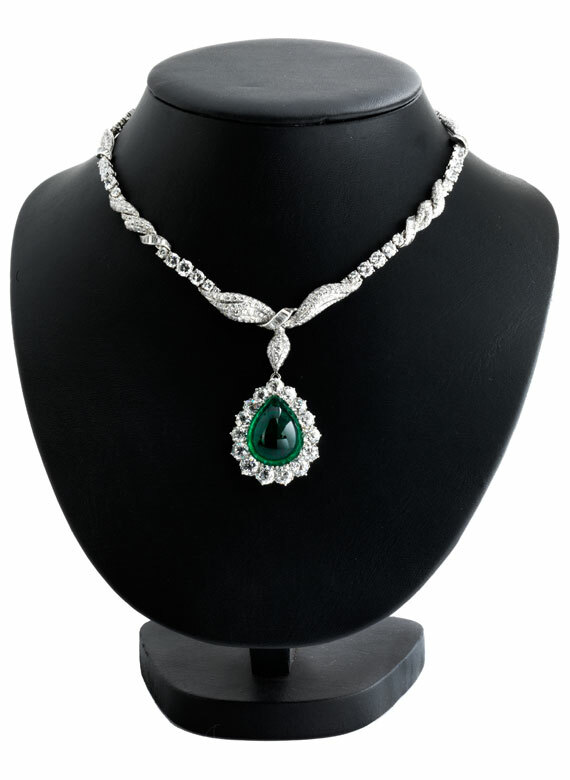 13.5 ct, and a magnificent, older pendant with vividly coloured drop-shaped Columbian emerald cabochon, 22.975 ct, with a surround of exceptionally fine, large old-cut diamonds, altogether ca. 7.8 ct. Centrepiece detachable.